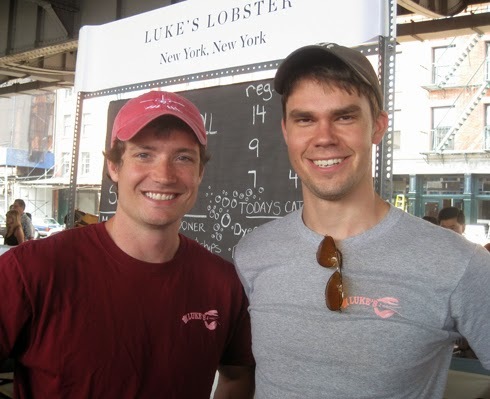 There are now 13 Luke's Lobster Seafood Shacks in New York, DC and Philadelphia. Check out their food truck, Nauti Mobile. Don't you love the name? I actually went to Luke's in the Plaza on my last New York trip. 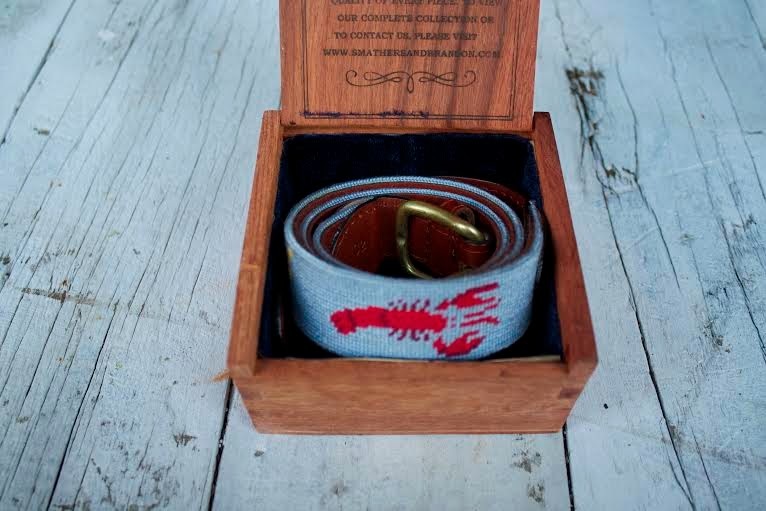 The owners are from and still live in Cape Elizabeth, Maine and operate a sister company that sources the lobster. 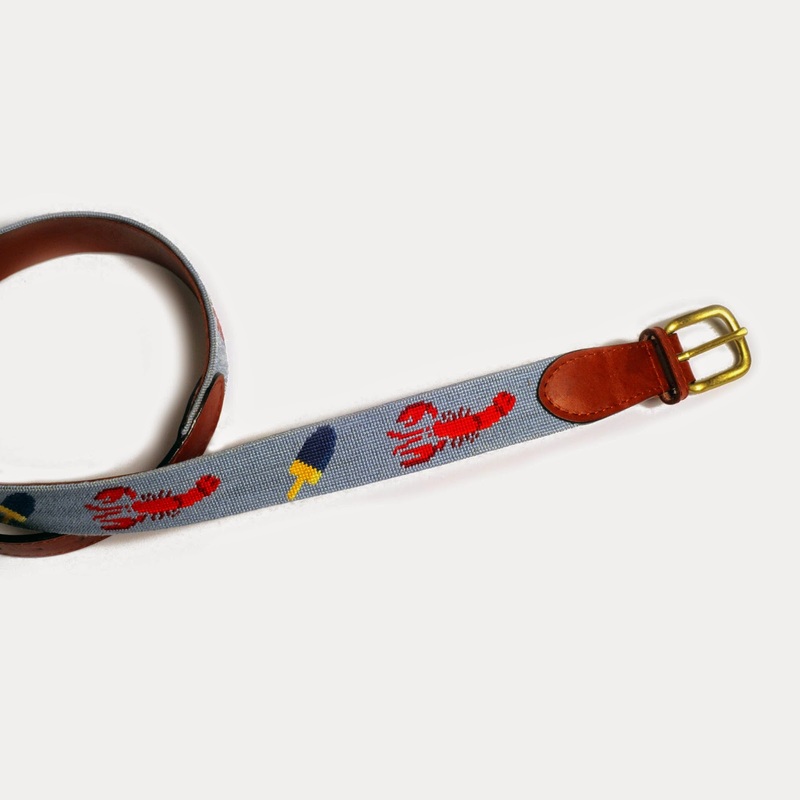 Luke's Lobster has partnered with Smathers & Branson on a custom hand-stitched needlepoint belt featuring owner Luke Holden's lobsterman buoy and signature lobster. 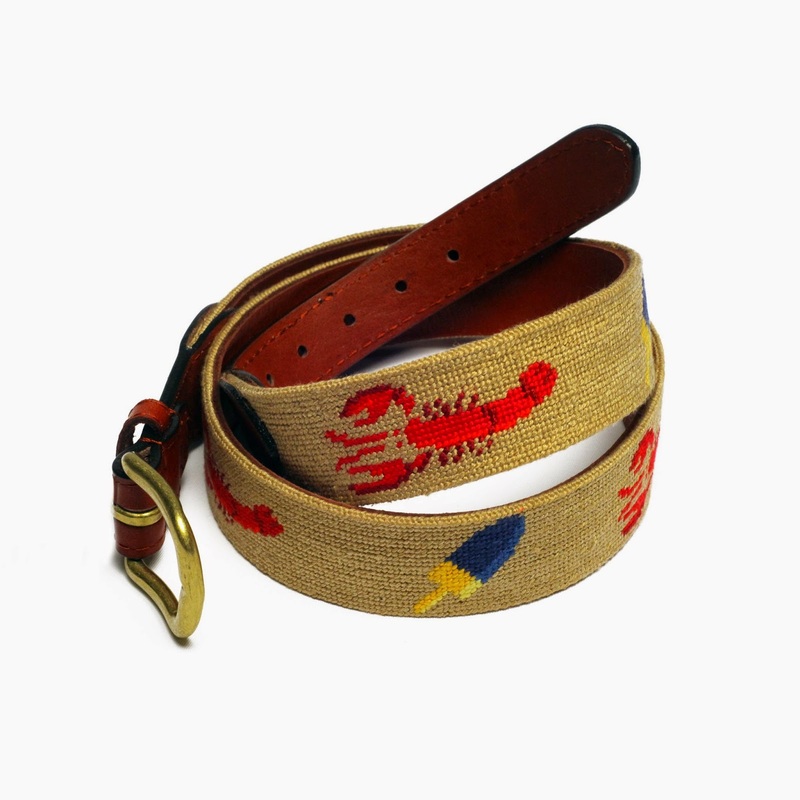 The belt comes in khaki too. There is also a key fob. 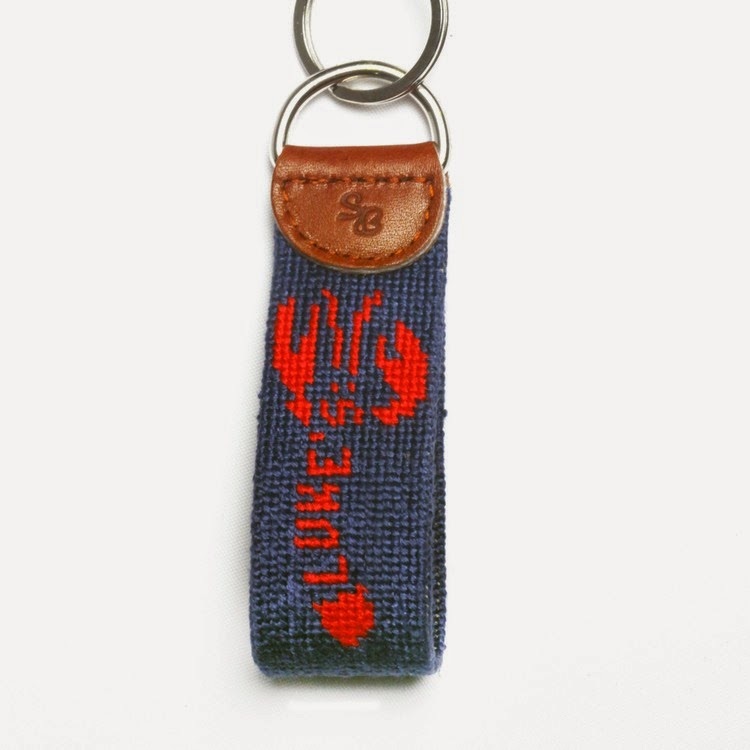 You can shop all of the Luke's Lobster merchandise here.